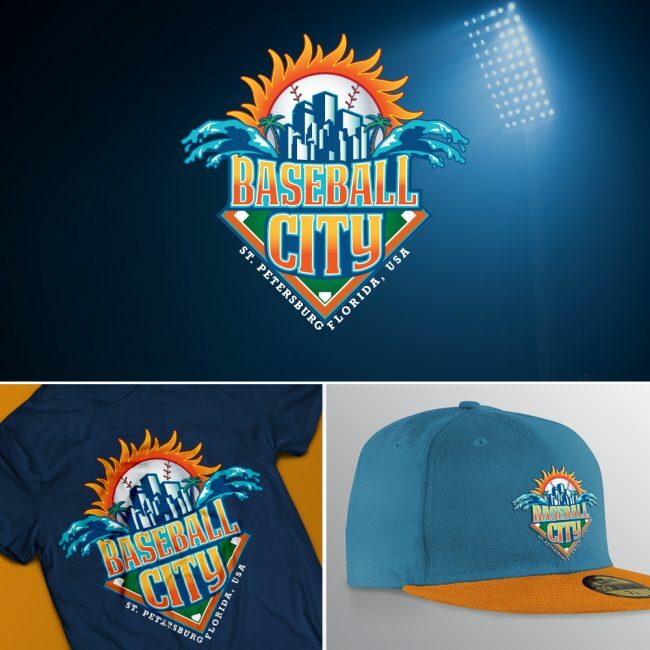 Baseball City St. Pete is operated by the St. Petersburg Baseball Commission, whose mission is to foster local, national and international baseball competition in St. Petersburg, Florida and throughout Pinellas County. Utilizing imagery to accurately depict the city of St. Petersburg as well as its connection to the sport. This logo combines multiple elements into one cohesive design.